Photo: One of the questions in the Weinstein scandal is how close was his relationship with Hillary Clinton and former President Bill Clinton. Actress and filmmaker Anna Wilding escaped the humiliation of being an alleged Weinstein victim. Wilding alleges she was about to go into an elevator alone with Weinstein and then to a private meeting with him, when two male colleagues saw what was happening. 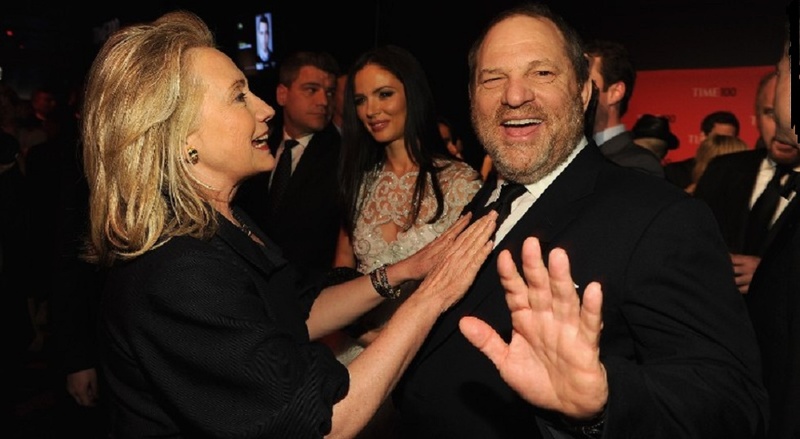 Weinstein may have escaped justice for many years because of his generosity to the left-wing Democrats and other anti-Americans such as Michael Moore. Moore and Weinstein were working together on an anti-Trump project. Wilding is also calling out people who she says helped Weinstein in his behavior. “I think there were people who enabled Harvey. And I think those people should come out. And I think they should realize and admit that they shouldn’t have enabled it… admit their culpability, and they should say next time, we won’t allow this to happen.” WABC Radio Host Rita Cosby Full Interview with Anna Wilding. journalist Rita Cosby continues to be a friend to Conservative Base and to the Chiefs of Police Association. “They spoke to me afterwards directly and they said, ‘Anna, you are not safe to be alone with Harvey,’ and they were very clear with me not to ever be alone with Harvey. No one wants to mention the J word.